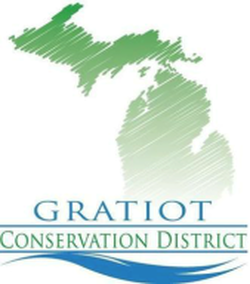 The Gratiot Conservation District hosted the first annual Pheasant Run 5K Run at the Jailhouse Trail in McNabb Park in July. People came from all over the state to participate in this unique trail run to raise awareness for the Michigan Pheasant Restoration Initiative (MPRI). Look for the cool, blue shirts all over town! Thank you to CHT Chip Timing for running the event, Hearthstone Oven Bakery and Ric’s Food Center for the refreshments, Alley-T’s for designing and printing the shirts, and thank you to all of our sponsors: Spartan Crop Insurance, Spicer Group, Sparks Pickle Company, Greater Gratiot Development, The Nature Conservancy, Alma College, Breckenridge Insurance, and Signs for the Times. On October 24, 2015 a Youth Pheasant Hunt was held as a combined effort of MPRI (Co-op), Saginaw Conservation District and with a generous $500.00 donation by Saginaw Pheasants Forever Chapter (with several other sponsors that were listed on the back of the special orange hoodies each youth received). Door Prizes were given out, there was hot cider, kids got to keep their birds and we all signed a commemorative photo board and kids wrote thank-you’s. Everybody loved it so much that we all agreed to put it on next year!! Check out pictures from the event and what Michigan United Conservation Club had to say!